The National Hispanic Voter Educational Foundation (NHVEF) was created to encourage, inform and enable individuals in the Hispanic community to appreciate the importance of voting and to consistently exercise this privilege. This non-partisan foundation is dedicated to helping individuals find their voice in order to make a positive impact on themselves, their family and the community. NHVEF also manages a call center to reach out to the Hispanic community and engage them in this goal through a voter pledge. NHVEF is growing rapidly and they needed a system that would allow them to grow their data and be able to effectively manage their large number of contacts. They also required some additional customization of the database that would create a household record for people that shared the same address. This would allow them to be more effective in phone bank activities and increase the number of Foundation pledges. They were also able to optimize the search function to reduce lag time and return a more precise number of matches. The overall results were instrumental in the success rates of NHVEF’s call center and the overall increase in membership. NHVEF primarily needed a database that would manage over 600,000 contacts with room to grow. It also needed to allow easy and fast searching and segmenting of those contacts and other data. It was a big undertaking to move a database of over 600,000 contacts. This included cataloguing, structuring, and organizing data from multiple sources and then mapping it to a single source file which was a difficult task. NHVEF was previously using a system called Jot Form, but it didn’t allow for searches or segmenting the data into groups. Jot Form was a good way to capture information on the backend and fairly easy to use, but it couldn’t do data recall and they needed to be able to segment their data. The organization is growing rapidly and they needed a system that would allow them to grow their data and be able to effectively manage a large number of contacts. 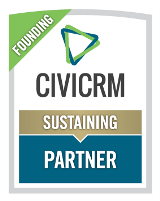 They had heard about CiviCRM through another organization and after some research, they were convinced it was the right fit. The greatest need at NHVEF is to segment the database by categories such as districts, age and party affiliation. They use advanced searches for many types of queries and smart groups to organize data. There are plans to use CiviMail and CiviEvent soon as they grow their foundation and begin hosting events. They also plan on using CiviCRM for conducting surveys. We wanted to make it as easy as possible for our organization to function in this fast paced world. To be a successful non-profit you need to strike a fine balance between the work of your organization and managing the infrastructure. CiviCRM helps us do that.